If you are a die-hard fan of the much-loved Ravi Teja, then get ready to rejoice as we have some awesome news in store for you. According to a leading daily, the Telugu superstar’s next big film ‘Amar Akbar Anthony’ is all set to go on the floors in April. The film will be directed by Srinu Vaitla and is going to feature the ‘Mass Maharaja’ in three different looks. It is most probably going to be shot in the US and its heroine is yet to be finalised. Ravi Teja-Srinu Vaitla had previously collaborated for films such as ‘Nee Kosam’ and ‘Venky’ to name a few. As such, fans are bound to have high hopes from this one. Interestingly, Ravi Teja is currently gearing up for the release of ‘Touch Chesi Chudu’. The film is touted to be an action-entertainer and has been directed by Vikram Sirikonda. In it, Ravi Teja will be seen alongside Raashi Khanna and Seerat Kapoor. Recently, Ravi Teja had said that—if the film works—credit must be given to the director. “Vikram and I worked together in Mirapakay. He’s someone with strong clarity and conviction. He exceeded my expectations. He’s a wonderful director and he’ll be a blessing for our industry. The film’s story was written by Vakkantham Vamsi. It’s amazing how Vikram made changes to the story to suit his sensibilities. If this film clicks at the box-office, all the credit should go to Vikram,” he had added. On a related note, ‘Touch Chesi Chudu’ will be Ravi Teja’s first release since ‘Raja The Great’. Th action-thriller hit screens last Diwali and did well at the box office. In it, Ravi was seen alongside Mehreen Kaur Pirzada and essayed the role of a visually0-challenged man. 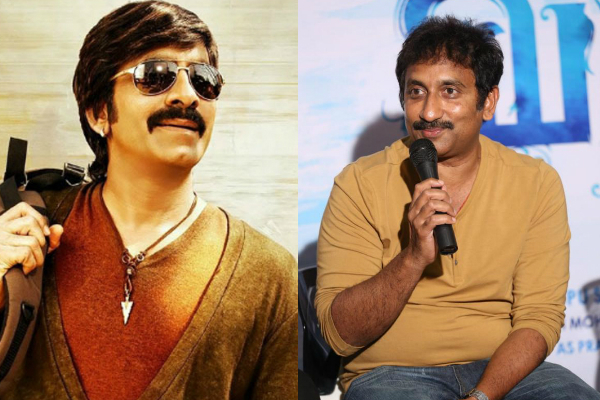 So, are you excited about the Ravi Teja-Srinu Vaitla film? Comments, please!